With a career spanning over three decades, Kim Ogilvie is widely regarded as one of Sarasota’s foremost experts in multi-million dollar real estate. Driven by her unrelenting work ethic, integrity, and meticulous knowledge of Sarasota’s luxury marketplace, Kim and her group have consistently been ranked #1 amongst Michael Saunders and Company’s Top Producing agents. Dedicated and passionate about her ... more.craft, she has reached a position in the industry few ever attain. Kim’s list of accolades is extensive and includes: Multiple-years leading the top producing team with Michael Saunders & Company, the highest $1 million+ home sales volume in the Sarasota Association every year since 2003, and involvement in three of the five largest sales in Sarasota history. Small-town Tennessee roots and a family history of cattle trading going back to the 1800s are the basis of Kim’s sensible, down-to-earth approach to real estate. Considered among her peers to be very competitive yet friendly, Kim’s warm personality is matched in equal measure with her fierce negotiation abilities. The Ogilvie Group’s level of performance is a consequence of their ability to listen, empathize and take action on behalf of their buyers and sellers. It is no wonder they have an extraordinary following of loyal customers and referrals who call on them for advice and guidance in all real estate matters. Seen as a thought-leader in real estate, Kim often lends her expertise to local and national media. 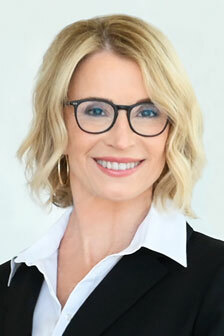 She has contributed her seasoned insights on Sarasota’s luxury property market to outlets including Sarasota Magazine, The Sarasota Herald-Tribune, ABC 7 News, Luxury Portfolio International and Christie’s International Real Estate. On a personal note, Kim enjoys city life in the heart of downtown Sarasota with her cat, Beto. While she’s focused on real estate almost 24/7, her other passions include hitting the slopes of Telluride, family time in Tennessee and the occasional weekend in New York City. Alise and I want to thank you for putting us in touch with the team of Kim and Michael Ogilvie to list and sell our home in Sarasota. Kim did an outstanding job of marketing our home, enabling us to negotiate a contract for 99% of the listing price within two days of the campaign. We could not have had better results. - David & Alise S.
Through my research online, I was very fortuante to identify Kim Ogilvie as a successful and knowledgeable sales person to contact. Moving from San Francisco to Sarasota, we needed the right real estate agent to help us understand the right location and buildings to consider. Kim is an exceptional agent and her team is very responsive and excellent at follow-up. We had many details to work through, as well as a three hour time difference. Kim and her team are to be applauded for their professionalism in navigating us to a successful completion. We love our new home, our location and Sarasota. We recently closed on 1666 Bahia Vista in Sarasota. Kim Oligvie handled the transaction. My wife and I have been involved in many real estate closings and we can honestly say that Kim did an outstanding job on every level. Her attention to detail was impeccable, the communication was always timely and thorough and most importantly she made sure that the transaction from start to finish was pleasant and problem-free.